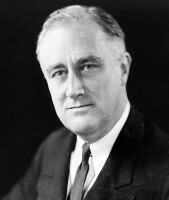 Regardless of whether one has a positive or negative view of him, FDR was a pivotal president. However, he has received little attention from Hollywood. Aside from Sunrise at Campobello, which examined his sudden attack of polio when he was still a rising politician, FDR has been relegated to cameo appearances. Clearly there is a need for a more in-depth look at FDR, so Hyde Park on the Hudson will be interesting. Hyde Park presents the weekend when King George VI and Queen Elizabeth stayed at FDR’s private estate after attending the 1939 New York World’s Fair as part of a goodwill tour. The visit itself was ceremonial, intended mainly to deepen American sympathy for the British, in particular to oppose isolationist sentiment, but the experience enabled FDR to forge closer relations with the British government. More important, the movie presents FDR at his prime.